Our mission at GayTucson is to be a constant source of local, up-to-date, reliable information. We help the LGBTQ community, it’s friends and allies find trusted resources and we promote Tucson, it’s LGBT community and all it has to offer. I started Gay Tucson to fulfill a need. Gay and lesbian home buyers would call me about relocating to Tucson and time after time I kept hearing the same thing. I’m nervous about moving to Tucson because you don’t have a LGBT community. So, I set about out to build a nice little 10 page website. As I was building the site, I tried to think from the point of view of someone relocating to Tucson. What does a gay, bisexual, transgender, or lesbian person moving here need and want? I decided that I would highlight gay owned and gay friendly businesses that I knew and trusted in Tucson along with charities and non-profit organizations. Next came the events pages so I could show them that there is something to do in Tucson other than go to a gay bar. I also added groups, clubs, activities and a then a links page .10 pages were up pretty quick and Gay Tucson went live. And it kept growing. 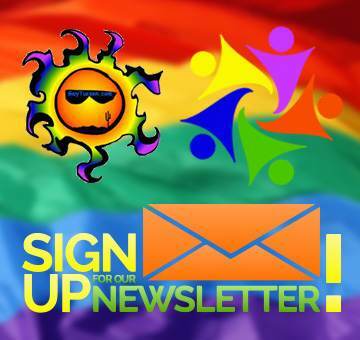 Today, it has over 600 pages with info about: : Tucson groups, clubs, gay bars, gay hotels, gay owned / gay friendly restaurants and businesses, things to do, gay pride, gay news, real estate, events, home loans, charities and more. If you’re out at some of the LGBT events and feel generous enough to share your photos, we’d love to post them to Gay Tucson.